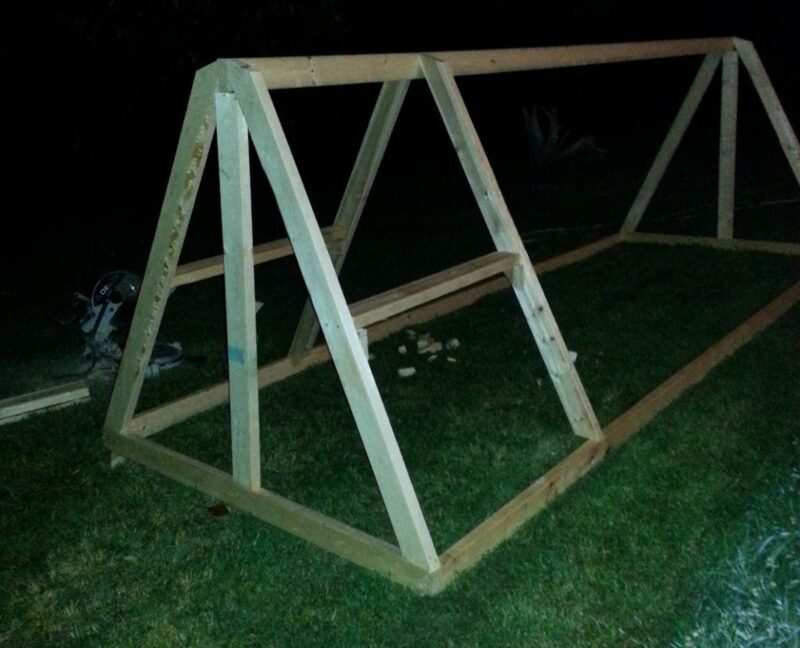 The Givens Grove > DIY Projects > How “NOT” To Build A Chicken Tractor. Let’s be honest here. How much fun would it be if I only showed you the things we got right and turned out perfect. Well for one, that would lead you to believe we got this “mess” all together. And two, it would make the dream of self sustainability seem unattainable. I can promise we ain’t got this “mess” together. And by no means are we experts on self sustainability, far from it actually, but we are taking one step towards it at a time. Every goal and dream ever attained was done so, one step at a time. 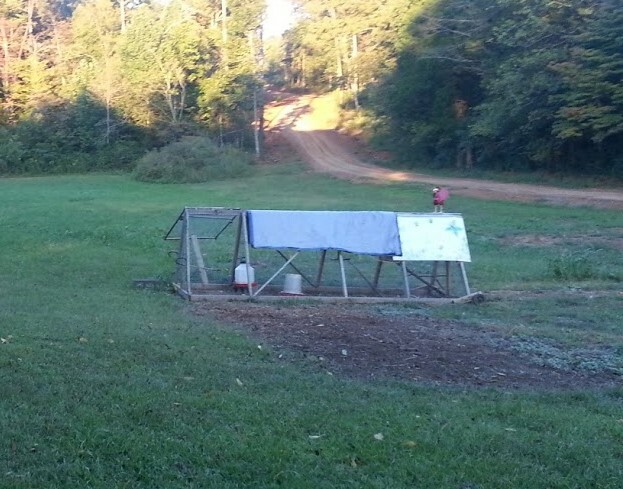 Hopefully, I can help you skip the step where you build a 7,000 lb chicken tractor. I wish I could have skipped it. But then what would I write about, right? 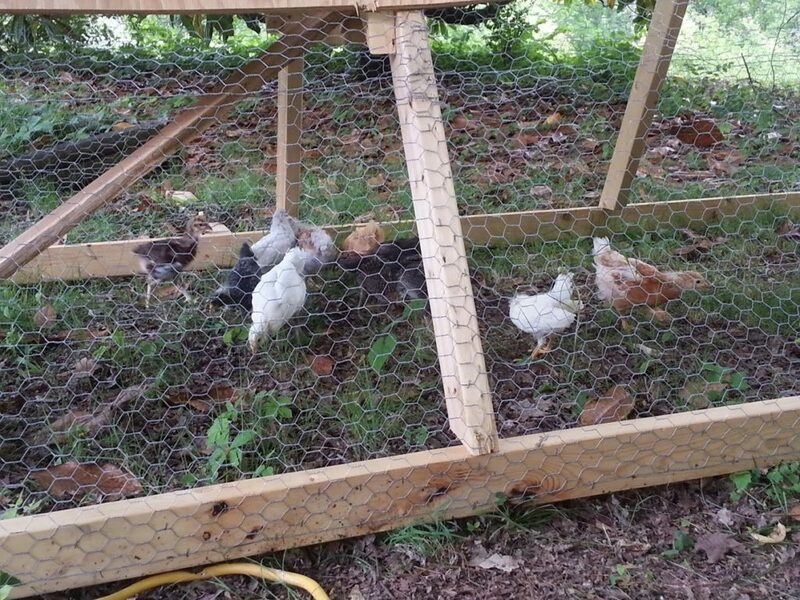 I would like to say I was way ahead of schedule and had the chicken tractor ready to go when the chicks became of age (around 5-6 weeks depending on your outside temperatures) to go outside. Technically…..ehh-hmm, I can’t say that. The chicks were 7 weeks old, flying out of their brooder and pooping all over my mudroom, because….well, they were ready to go outside. Hello, Jessica. So I kinda flew by the seat of my pants putting this chicken tractor together. I work better under pressure. Although Chad would probably like to argue the definition of “better.” One day I asked Chad to bring home nine 16 ft 2×4’s after work. I had a plan in mind and was so excited I started that night. When I say started, I mean I really wanted to finish it that night but this was a far as I got. I think I finally stopped at around 11pm. The plan was for it to be an “A” frame with a little nesting area on one end. In the beginning Chad had tried to warn me that making it out of solid 2×4’s would make it quite heavy. I reassured him that I knew what I was doing. HA….if only. The next day I continued to crank it out. The nesting area began to take shape and I used an old piece of 1/2′ plywood (also weighs a blue million tons) for the roof. When your husband works in construction you have a plethora of scrap materials……everywhere. We also happened to have some old flashing that I used on the ridge of the roof to keep rain out. The chicken wire and the 2×4’s were the only expenses we had. All in all I think we spent $45 dollars on this project. Once I built the door for the tractor it was ready for action. I don’t know who was more excited – me, getting the chicks out of my mudroom, or the chicks getting to see grass, bugs and life for the first time! Either way…it was awesome and they loved it. I let them stay in this spot for 2 days. The chicks were still tiny and it took them a long time to work an area. I had plans for buying wheels for all four corners, the kind you put on a trailer that crank up and down. I went to a shop to price them and almost died. I am not sure what I thought they would cost, but I wasn’t expecting $40 each, to the tune of $170 after tax. When you try to do projects for as close to free as possible….$170 buck-a-roonies ain’t happening. So I decided to do without. We had some old push mower wheels that I decided we would just make do with. But for the life of me I couldn’t figure out how to attach them. The wheels would have to wait for Chad’s help. In the meantime…it was moving day for the chicks and I decided to attempt it by myself. That was a joke. I tried for 10 minutes to move that thing and I maybe moved it 4 ft, and all I had to show for it were super sore hands. I gave up and waited for Chad to help me that evening. He never said I told you so, but I am sure it crossed his mind. He did eventually put the wheels on the the tractor, but they were seriously undersized for the monster that I had built. So for a year, I struggled every time I moved that beast. When the chickens got to be around 6 months old I started letting them free range during the day so I wouldn’t have to move it as often. I maybe moved it once a month at that point. There was an old smokehouse on the property that I started remodeling into a chicken coop when the chicks were around 7 months old. I finally finished it around the time the chicks turned a year old (more to come on the remodel soon). We have since used the chicken tractor twice in the last two years, to transition new chicks into our existing flock. In reality, it is no longer a useful piece of farm equipment and more trouble than it is worth. The purpose of a chicken tractor is to easily move your flock around an area. This was far from easy. If I had spent the money on the trailer wheels….then maybe this would have been a successful build. But even now I am still not willing to spend the money for them. I believe I am finally ready to tear the tractor down and re-purpose the materials into something else. If I had it to do over again I think I would try a similar structure, but with PVC. It would have been harder to attach the chicken wire to, but the weight would have been a thousand times lighter. 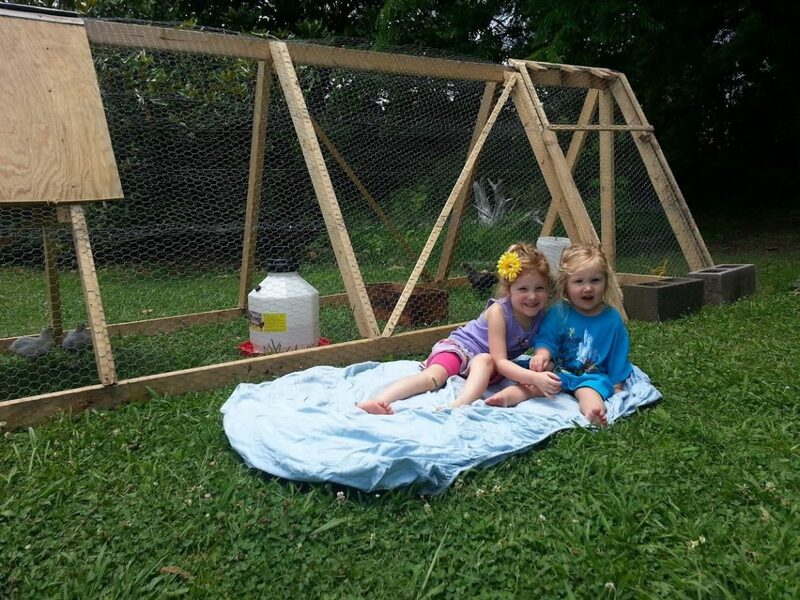 Do any of you have successes with your own chicken tractor builds you can share? I would love to hear them. We are planning in the future to raise meat chickens, so there will be a day when a chicken tractor will be needed on our property again. Hopefully at that time I will be able to share how to “properly” build a chicken tractor with you.